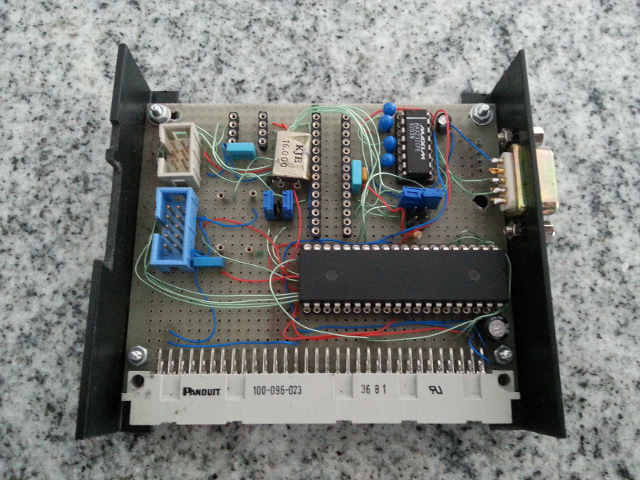 The Avr module can hold either a 6pin, a 28pin or a 40pin Avr processor. This module serves for two purposes. In many cases it is simply used as power supply since it gets 5V power from USB and distributes this plus 3V3 volt to the rest of the ElecX. But it also contains a USB to I2C converter based on http://www.harbaum.org/till/i2c_tiny_usb/index.shtml. The matching Linux device driver comes with the kernel source and can be loaded with modprobe i2c-tiny-usb and will be compiled when CONFIG_I2C_TINY_USB is set. 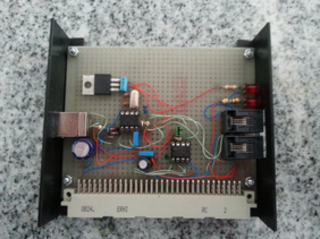 This module converts the mains voltage (as 230Vac) into the various DC voltages. Since 230Vac is a dangerous voltage the module must be isolated.